Hi, my name is Lindsay and I live in Wellington, New Zealand. I am from Scotland originally. I came to Wellington just over 2 years ago after travelling around. 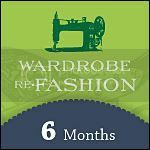 Why did you choose to start refashioning? I am aware of the environmental and social impact of producing new cheap fashion items and wanted to get out of the fashion rat race. That is still my main reason, I think it is great to take an old item and give it new life, make it your own. You certainly develop a style which nobody else has which is so satisfying when you walk around and see the current high street fashion uniform! One other reason is that one day I looked in my wardrobe and it was such a jumble of odd items that I never wore! 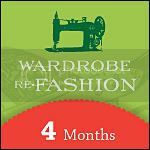 I wanted to streamline my wardrobe without buying new and refashioning is helping me achieve that. It is quite eclectic. That is a bit of a cop out… but I do like clean lines yet I can’t stay away from flounces, bows and frills… they seem to feature heavily. So do fabric with stripes and graphic patterns. I like pretty but I like punky… I know what does not suit me so I play with what is left over. I think I am still trying to figure my style out. Tell us about your favourite refashion. I really enjoyed converting a baggy old jumper in to a lovely cardi with vintage buttons. I had been thinking of what to do with the jumper as it was too big for me. I thought about it for a long time! I made some mood boards with pictures from magazines and they seemed to have a lot of pictures with pleats so that is what inspired me to make the centre front pleated. I was so delighted when so many members helped me decide to add the buttons or not… the vote was buttons on. I really love organic shapes and I am really drawn to the Art Nouveau movement, I always find it inspiring. I study costume and different styles of clothes from around the world are endlessly inspiring. Just now I want to make a jacket that is a cross between a Japanese kimono and 1950’s bed jacket using 18th century rococo inspired material. Buttons have to get a mention too, they are so pretty, I buy so many vintage ones whenever I can and they can spark ideas. Sally Jane Vintage – I got to know of this blog from a BurdaStyle member and have been quite addicted ever since. I really love her vintage fashion meets ramshackle building photographs. Chanel – if I had to choose to be dressed by a design house, this would be the one. Classic style but with a modern edge, I always covet something from each collection. Plus Coco Chanel is truly a female fashion icon. BurdaStyle – I enjoy the strong community feel of this site and its subject… SEWING! There is so much information and looking at what other people create is so inspiring. My favourite member is Maryy, her creations are beautiful. My Bernina 830 is my favourite object. It may be an older model but it is quite amazing. I bought mine on an NZ auction site and got a ridiculous 16 different feet for it, I still don’t know what some of them do! If I could wake up one morning and become someone’s double it would have to be Audrey Hepburn. Adored by so many and for very good reason, she aged like a real woman, naturally. I have never seen anybody look so good in checked Capri pants and ballet flats. 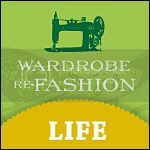 What are you looking for on the Wardrobe Refashion site? Is there something you would you like to see here? 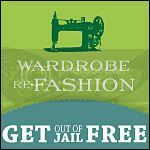 I am looking to find like minded people and see what they can create from refashioning. I have seen some refashioning ideas that I would have never have thought of and that in turn as influenced me to do something different. It might be useful to have some categories of the end product so you could access just dresses and see how they had been made. Thanks to Minnietheminks for being a Featured Refashionista, check out her blog here. If you would like to be featured or would like to nominate someone please send me an email at wardroberefashion@gmail.com with the title 'Featured Refashionista'. My name is Sadie Fox Metter. I’m a third-generation Coloradan, born and raised in Denver. I spent my twenties in New York City, where I was always looking for great fashion deals at indie boutiques, flea markets, and street vendors. It was a great time and place to find inspiration and to be adventurous with my fashion choices. I have since returned to Denver, am married to a graphic designer, and have two beautiful daughters. I have always loved the challenge of putting together great outfits and imitating fashion trends on the cheap. Before I could sew, this meant scouring low-end stores and combining cheap and pricier items for maximum effect. When I embraced domesticity (and got a decent sewing machine), I started to extend my reach to include making and altering items of clothing. Refashioning overlaps nicely with some of my other interests too, including care for the environment, fighting rampant consumerism (my own! ), and the spiritual benefits of doing-it-yourself. Funky mama. I want my clothes to be stylish and original, but I need them to be functional. The days of drop-dead gorgeous shoes I can’t walk in are over. Big-city street fashion and my two daughters. Tell us 5 random favourites (blogs/designers/people/objects, etc). I love the site. Everyday it gives me inspiration and motivation. I would love to see more how-tos. So many talented people participate and it would be great to learn some new tricks. Thanks to Sadie for being our first featured Rafashionista!! !